Home/12' Skiffs, All News/Queen of the Waves! 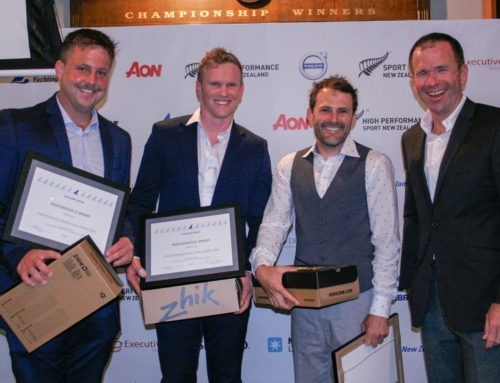 Saturday saw the Auckland Skiff League hold its annual “Queen of the Waves” race day. Each boat gets a female/lady/chick/babe/girl/women to join them for a day of friendly, but highly competitive racing. It must be said that the ladies were a good influence on the boys. All the boats arrived on time and were rigged and on the race course ready to go before the scheduled time (unlike our usual style). Eight 12-foot skiffs took to the water, armed with big rigs, and after a short delay, courtesy of the offshore powerboats, racing got under way. The first race was a short 3 lap windward-leeward which saw “one and In” crewed by Mairead Ross and Ben deFluiter take the early lead only to fall into a hole. This let Andrea Hawtin and Jono Clough sailing “It’s Not OK” through to the front and eventually the win. Race two saw the race committee send the fleet on a longer race with the hope of the boats stretching their legs a bit. Unfortunately the wind gods didn’t share the same idea and the beat from Orakei to Northhead was done in a light and shifty single wire breeze. 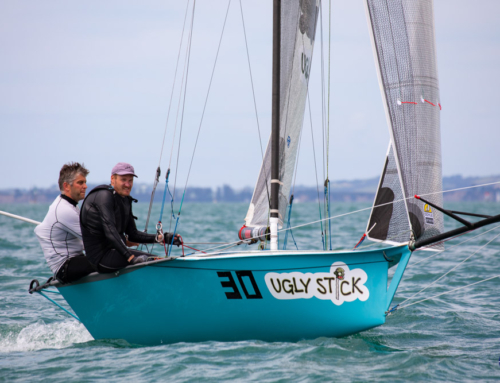 “Mr Scruff”, Paige Cook and Oldsie, led the fleet around the top mark closely followed by “It’s Not OK” and the “Ugly Stick” Anita Trudgen and Ollie Scott-Mackie. 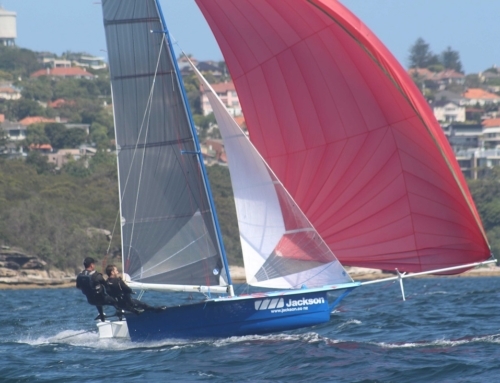 The fleet spilt in search of the puffs and “Exonet”, Sophie James and Matty Steven, found the best of the breeze sailing around the fleet to take the win. Second went to “Ugly Stick” followed by “It’s Not OK”. A special mention must go out to Sara Morgan Watters, sailing with Will Wright on the “W2”, the only female skipper of the day. It was also very cool to see the father-daughter team of Tim and Sarah sailing on the “Frankenskiff”. A massive thank you to all the ladies who came down to join in! There were some big smiles on everyone’s faces and some great tales told over a drink at the RAYC after. Congratulations to Andrea Hawtin (and Jono) our winning lady. A very deserving winner!